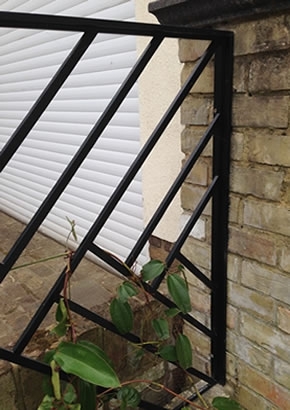 We have completed many commissions for traditional railing systems over the years. Whilst they can be extremely effective, laser cut panels offer infinite design possibilities for a more individual and contemporary appearance. 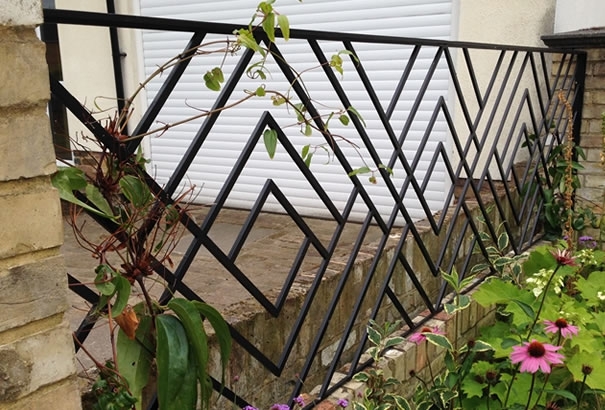 Traditional wrought iron railings and finials can be seen throughout the country. We have completed numerous commissions of this sort in-keeping with the appearance of period properties. For more contemporary projects, we have developed a method of manufacture for the incorporation of laser cut panels which can be tailored to any style or preference. This system means the design possibilities are limitless, any pattern or form in any ferrous or non-ferrous metals including mild steel, aluminium, stainless steel and yellow metals such as brass, bronze and copper. The thickness of the panel can be increased to turn it from a flat 2 dimensional pattern into a fully 3 dimensional pattern.